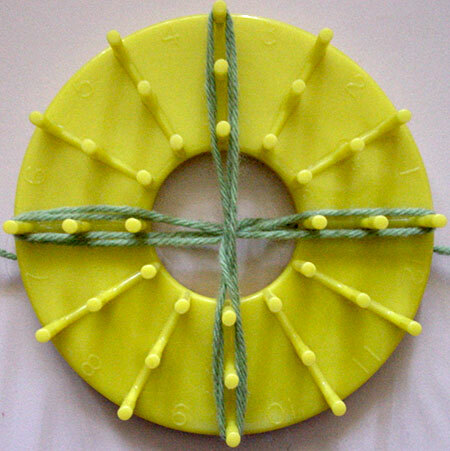 Flowers with loopy leaves can be made on any loom with two or more rounds of pegs. 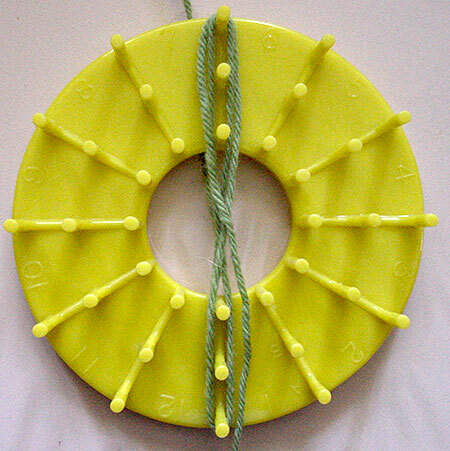 For this tutorial you will need to know how to wind your loom and stitch a centre of your choice. 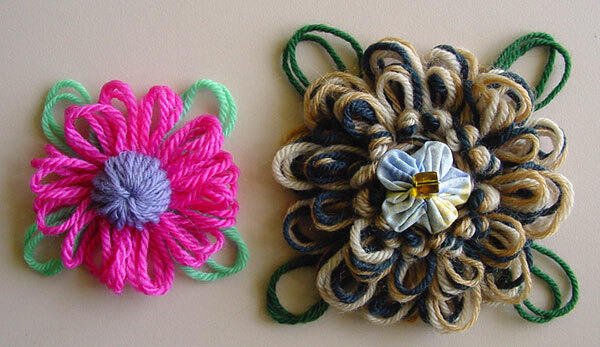 These flowers can be made with yarn or ribbon straw. 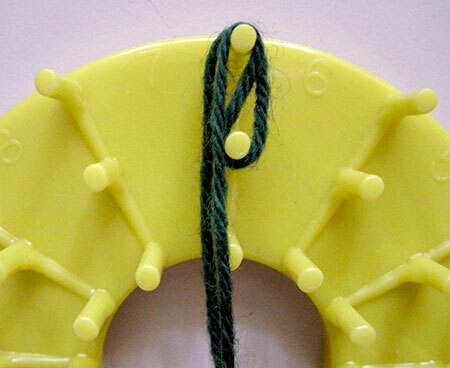 I’m using vintage tapestry yarn for the tutorial. 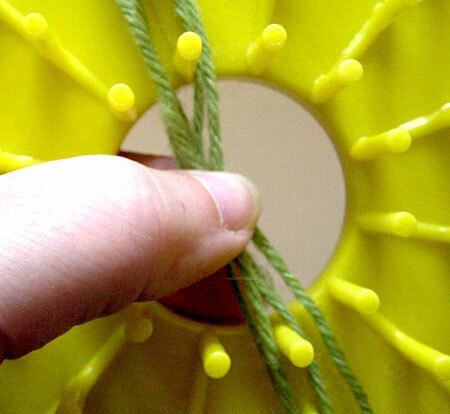 Taking the yarn for your leaves, wind two petals on the largest round of the loom as shown in the photo. Wind each petal at least twice. make another two leaves at right angles to the first ones. Tuck the end of the yarn down behind the loose loop and stick the end to the back of your loom or put it in the notch if your loom has one. 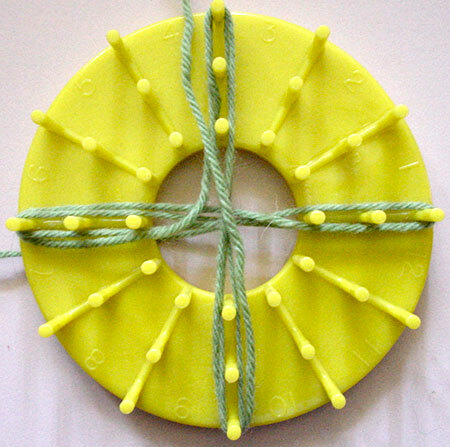 This will hold the centre of your leaves in place until you have finished your flower. 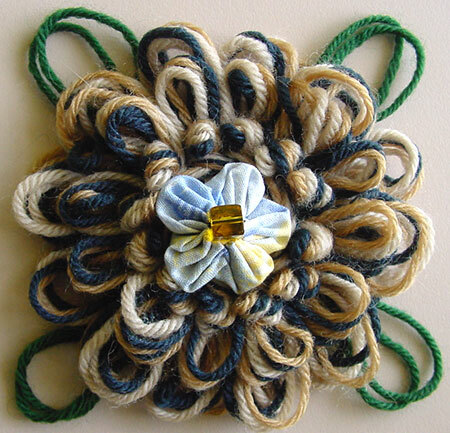 Work your flower as desired and stitch the centre. 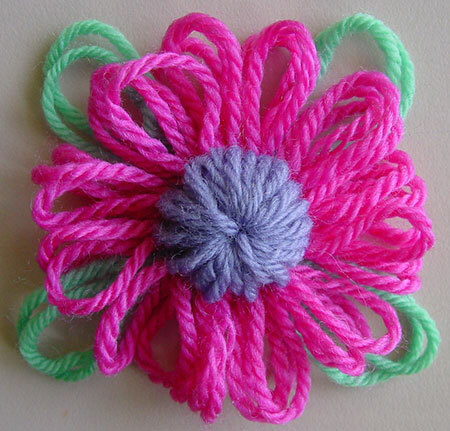 Remove your flower form the loom and darn the ends in the back. If you want to use all the rounds on your loom to make your flower and still have the leaves show, you can wind your leaves as shown in the photo on the left instead of just using the largest round of pegs. My finished flower using the second method. Copyright Sarah Bradberry, April 17th 2011. All rights reserved.